It is a matter of great joy and pleasure to inform all the disciples and well-wishers of His Holiness Penor Rinpoche residing around the globe that our beloved root guru has been reborn in Tibet. According to His Holiness Jadrel Rinpoche’s prophecy letter, Penor Rinpoche’s Yangsi (reincarnated being), was born near Leten Tramo Drag or Dung Lung Tramo Drag, the sacred place where the Nyingthing Yabshyi (The Four Cycles of Heart Essence Teachings) was revealed. Based upon this prophecy letter, combined with pure visions of Tulku Thubten Palzang Rinpoche, the Yangsi was authentically recognized.On 31st July 2014, the auspicious day of the Buddha’s First Turning of the Wheel of Dharma, the 4th Day of the Sixth Tibetan month–2141 Royal Year–the Yangsi will be enthroned. His Holiness Pema Norbu ("Penor") Rinpoche spent his life practicing and realizing the teachings of the Buddha, insuring that the teachings would not only not be lost, but that they would expand to the farthest corners of the world. 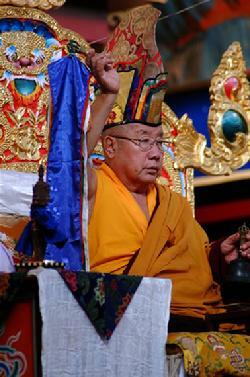 What follows is information gathered from first-hand sources and many Ngagyur Nyingma Institute books. 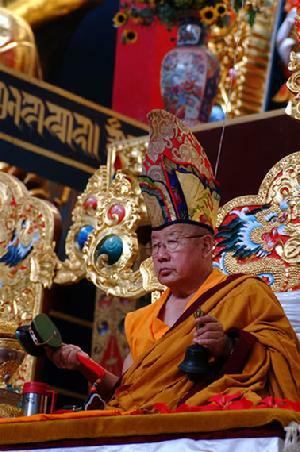 We pray this biography will continue to preserve, propagate and expand the teachings, just as His Holiness wished!